Beautiful location, easy to find, easy to check in and out. Perfect accommodations. Access to old town was close and easy. Owner was friendly, easy to communicate with, and quick to respond to messages. If you want a well equipped, good location spot near old town Kraków I would definitely recommend Sunny Old Town Apartments!! Host was quick to reply to any queirys and the apartment felt very welcoming and homely. The location to old town and the castle was superb. The apartment was modern and clean and had netflicks which is a great touch. Free parking was also a great perk. Along with self check in. Paullina was very responsive. 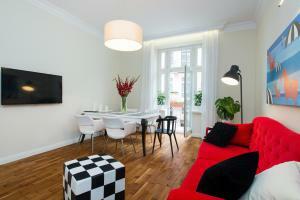 Wonderful apartment near Sheraton hotel and Wawel Castle. Quiet location, free parking in a nearby garage. The apartment is equipped with everything one would need. Bakeries and shops very close. The bed is so comfy that I can't wake up in the morning. :) And the public parking lot is just around the corner. 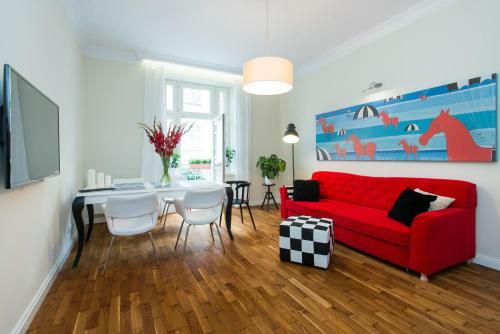 Lovely, spacious, warm apartment and only 10 minute walk to the old town and Christmas market. Paulina the owner was amazing and organised airport transfers and a trip to Auschwitz for us. We were visiting Krakow for the first time and absolutely loved our stay. Would definitely return to the apartment and the charming city. 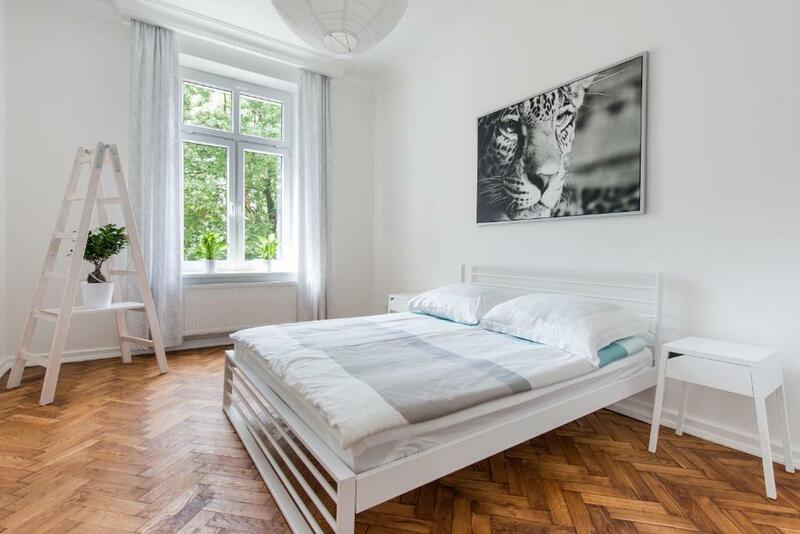 Very clean and comfortable flat at a perfect location. Everything as described plus water, beers and milk in the fridge. Mobile wi-fi, comfortable parking. Great value. Lock in a great price for Style4rent Sunny Old Town Apartments – rated 9.7 by recent guests! 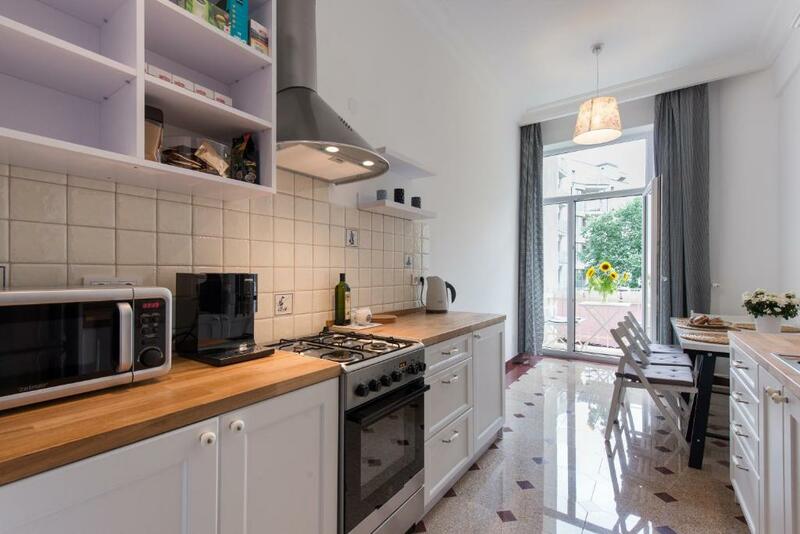 One of our top picks in Krakow.Located a 4-minute walk from Wawel Royal Castle and 0.8 miles from National Museum of Krakow, Style4rent Sunny Old Town Apartments offers free WiFi and units equipped with a kitchen and seating area. The apartment offers a flat-screen TV and a private bathroom with free toiletries, a hair dryer and shower. A dishwasher and oven are also available, as well as a coffee machine and an electric tea pot. Cracovia Stadium is a 17-minute walk from Style4rent Sunny Old Town, while Main Market Square is 1.1 miles from the property. The nearest airport is John Paul II International Kraków–Balice Airport, 9 miles from the property. 뀐 Located in the real heart of Krakow, this property has an excellent location score of 9.8! When would you like to stay at Style4rent Sunny Old Town Apartments? This apartment features a balcony, tumble dryer and fireplace. 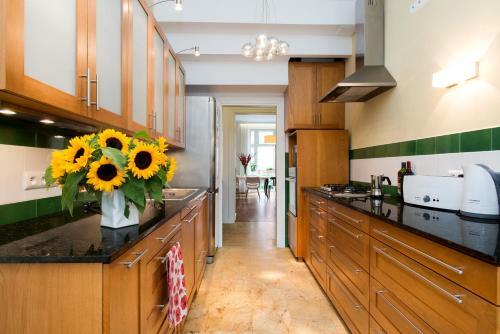 This apartment has a dining area, toaster and oven. Beautiful, bright and spacious apartments in the very centre. Just few steps from the castle and river, few minutes walk from Main Square. Quiet street with limited traffic. Rented with flat above can accomodate up to 11 people + probably the best host in town! As a bonus I provide pocket Wi-Fi (mobile router) so that you can enjoy internet everywhere, no matter where you are - in the city centre, lost in Nowa Huta, going to Auschwitz, etc. You can connect up to 10 devices to it. You are welcome to stay at my apartments. I love to travel, speak Spanish, sail and host. I do care about my guests and make sure they feel like at home while travelling. 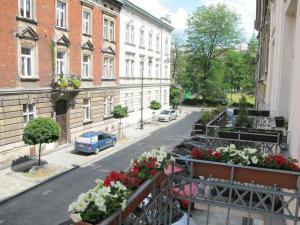 Flat location is ideal for these of you who would like to stay in the very centre of Krakow but on the other hand want to sleep well without being forced to close windows due to street noise. Street is very quiet with limited trafiic. 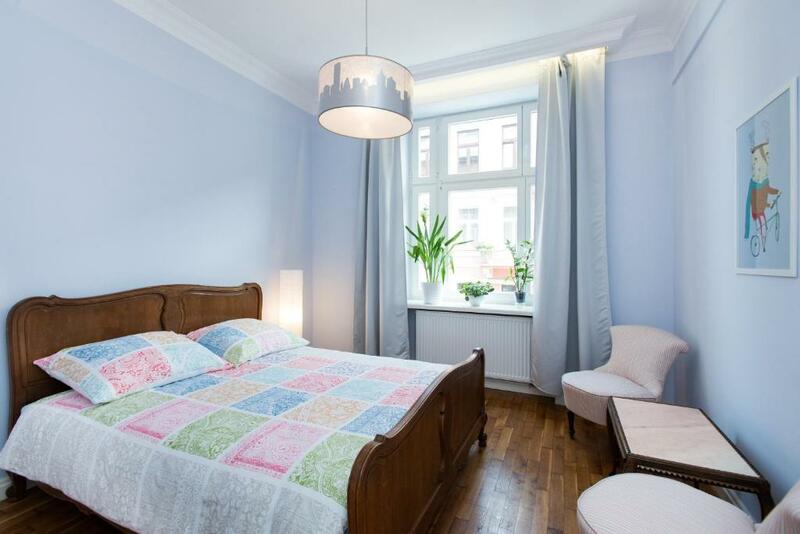 You will be just few steps from the river and Wawel Castle. 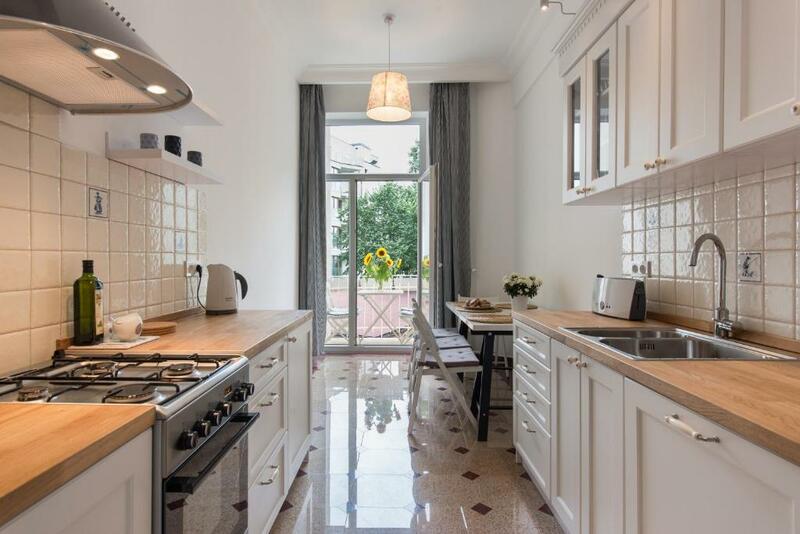 7 minutes walk from Main Market Square. There are plenty cafes, restaurants and all kind of shops near by. Great greengrocer's shop just 1 min away, bakery 2 min walk, and big fresh market is 950 m from the flat. Supermarket open 24/7 is 5 min away. Kazimierz - Jewish district is 15 min walk. Area Info – This neighborhood is a great choice for travelers interested in restaurants, food and history – Check location Excellent location – show map Guests loved walking around the neighborhood! House Rules Style4rent Sunny Old Town Apartments takes special requests – add in the next step! Please note there is only 1 parking space. A damage deposit of PLN 300 is required upon arrival – that's about 79.39USD. This deposit is fully refundable at check-out as long as there's been no damage to the property. Please inform Style4rent Sunny Old Town Apartments of your expected arrival time in advance. You can use the Special Requests box when booking, or contact the property directly using the contact details in your confirmation. The ONLY thing I would say was a minor issue was WiFi being slow. If I had not been doing some work remotely it wouldn’t be a problem - definitely NOT a reason to keep me from staying here. We (wife and 2 sons 11 and 14 years) have been travelling since July and believe me this is the best apartment we have stayed after travelling for 3 months in all respects. The host Paulina was the best, she spent an hour with us on local knowledge, arranging for parking, and a grand tour of the apartment. She had a welcome drink, chocolates for our boys, a map of the city and took us to the carpark. She actually sat with us and highlighted all the locations on a map. The apartment is accessible via elevator. Paulina's apartment the only one that offered a WiFi at the apartment and an portable mobile WiFi router that we used when travelling, a real bonus. She had also stocked the fridge with everything we need so that helped with us having to purchase only a few supplies. Paulina also maintained communication through via email, and is also available on WhatsApp. The apartment has 2 bedrooms, a common toilet and bath with washing machine. Please note the clothes dryer is available, it a rack not a tumble dryer, however, the air is dry so drying clothes are quick and easy. The apartment is very cozy, secure, extremely clean, and well presented. It is central with proximity to grocery shops, clubs, restaurants. The apartment was ideal for us as it was only 20min drive to the airport. It was our base to visit the Auschwitz Memorial. If you are planning to a trip to Auschwitz, please ask Paulina for assistance. She had arranged for one of the locals to pay for our tickets and we met him at the carpark, be prepared to pay for his service. The best part we did not have to line up. Receiving and dropping the keys were easy. Parking is a 2 minute walk and is underground and secure. Suggest you also communicate with her well before arrival as she will guide you with local knowledge such as taxi pick-ups to and from the airport, foreign exchange facilities and services that would make you stay pleasant and enjoyable. My family ranked a 10/10 for everything. A later check-in would have been better (although they did offer to hold our bags till the end of the day). Nothing, the place was great. Great place, well stocked with everything you need, a few minutes walk from the main square. Really nice property and the owner was so helpful and really went out of her way. Very nice touches as well.